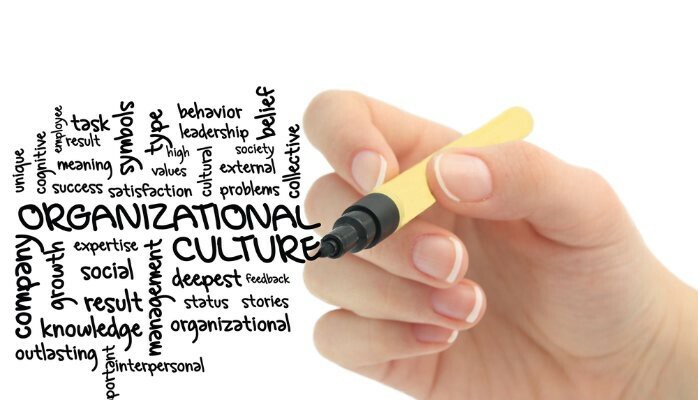 How do you know a company’s culture fits your needs and personality? Some job offers may look great at first glance, but if the cultural fit is off, saying yes could be a big mistake. Here’s what experts advise us to do prior to accepting a job offer. Matching your personality to the company culture that you’re trying to get hired at is extremely important for your future well being. According to new research from staffing firm Robert Half, 91% of senior managers feel a candidate’s match with a company’s culture is equal to or more important than a lot of more things that were considered important and relevant before. Surprisingly or not, about 35% of workers are saying no to seemingly “perfect” jobs if the corporate culture doesn’t seem like a good fit. Nowadays, candidates actually have choices. So, if a company doesn’t feel like the right fit, they know they can keep looking until they find an organization with the attitude and behaviors that they’re looking for. “We hear from candidates every day how important it is that they mesh with an organization, and the people at the organization,” says Paul McDonald, senior executive director of Robert Half. Leaving work in an upbeat emotional state that you can carry forward into your personal life. When you’re looking for a job, it’s all too easy to get caught up in what a potential employer thinks of you. Are you smart enough? Do you have the right experience? Will you make a meaningful contribution to the company dodgeball team? Being bombarded by all of these questions, it’s easy to forget that the job search is actually a two-way street. It’s just as important for you to find a company that you like as it is to find a company that likes you. Your goal is “to decode the organization and find out where the bodies are buried,” he says. Here are some ways to do that. How to know if a company suits your needs? Fortunately, HR managers and experts have conducted ample studies in order to give clues to help decide whether or not the company you want to be part of is the right work environment and company culture for you. Nowadays, there are so many places and opportunities in this new economy to share your talent and gifts, that you don’t need to put up with abusive managers. If you were expected to work late and on weekends, you did it, but that’s not the case anymore. Organizations that are recognized as the best places to work are happy to provide work-life balance and countless perks in order to attract and retain top talent. In other words, you don’t have to settle. Your greatest tool when assessing if a corporation’s culture is right for you is to know yourself, to make an honest and objective evaluation. It’s critical to know what you must have when it comes to work, and what you can live without,” she explains. Once you’ve managed to do that, it’s time to start gathering some information. Sites like Glassdoor and even LinkedIn are great places to read current and past employee reviews and to find people in your network who work (or worked) at the company you are considering, and reach out and see if they’d be willing to chat with you about their experience. The organization of the interview process can also be a key indicator of what the company culture is like. If things feel disorganized – people are running late, or didn’t realize you were coming in to interview today – that shows you a lot about the priority the company places on organization and on the hiring process in general. If you find the culture and atmosphere to be toxic, it’s not a great option for you or the company to feel unhappy or stressed. Give yourself some time between receiving the offer and accepting it, says Paul MacCartney, Chief Learning Officer at employee mentoring platform MentorcliQ. He adds that “The unconscious mind is an incredibly powerful tool and a good decision-maker. This could mean not putting yourself on the wrong life path”. How to make sure you are getting hired in the right company? To make sure that you don’t find yourself in the wrong place, experts have given some insight on the things you can do to prevent this. “Talk to as many people as you can,” experts say. If you feel that the people there might be open to it, it might just be worth asking if you can come in and spend a few hours with your prospective team for a group meeting or brainstorming session. This could be an advantage for both sides, you get to know the workflow and they get to know how you work on a basic level. Doing so will give you a sense of how people interact with each other, what daily life is like, and how you might fit in. You need to bear in mind though that this trial won’t be entirely indicative of reality, given that most people will want to make things appear better than they actually are. Reach out to your network to identify former employees, as well as others who know the company, such as consultants, auditors, lawyers, contractors, and suppliers. “What is this organization like to work with? Where is it succeeding?’ What kinds of people do well in this organization? And what kinds of people leave?” If you can, ask about turnover and find out what happened to the last person who did the job. These are the type of questions that HR managers advise us to ask before getting hired. It’s also important to consider opportunities at the organization beyond the contract on the table. Talk to the hiring manager about potential paths. You could think of this new job as a great career move in your career plan. Ask if you are able to move into other functions and other roles as your career progresses. Ask about opportunities for training and development. And find out what kind of high-potential programs the company offers. Once you have all the information, it’s time to do some soul-searching. Think about whether the organization is a place where you will thrive and be challenged. What are the key factors that help you make a decision when choosing a job? Do adopt a mindset that is positive but also skeptical. Do reach out to your network to identify people who know the company and who can give you the unvarnished truth about it. Do make a special effort to get to know your potential boss; a good relationship with your manager will be critical to your job satisfaction. Don’t discount the idea of doing a trial at the company to get a sense of how your prospective team works and how decisions get made. Don’t ignore red flags. If your boss doesn’t seem interested in getting to know you, consider it a bad sign.